I went to the Chocolate Festival at Eastwood Mall last weekend with FM and his kids. We looked around and was pretty disappointed that there were very limited participants and most of them, you'd find at Mercato or the likes. Thankfully, Choco ATBP saved the event for us. For those who do not know who they are, Choco ATBP actually sells different kinds of chocolate concoctions but what I really liked about their product was their tablea. He made me try all 3 flavors that they had which was Choco Sili, Choco Peanut, and Choco Sweet and Creamy. They were all pretty good actually and V ended up buying a cup. As for Choco ATBP, I'm definitely buying 2 of their Batirol set. It's worth Php1800 and its already a complete set. I'm giving it to my Mom and my Dad. 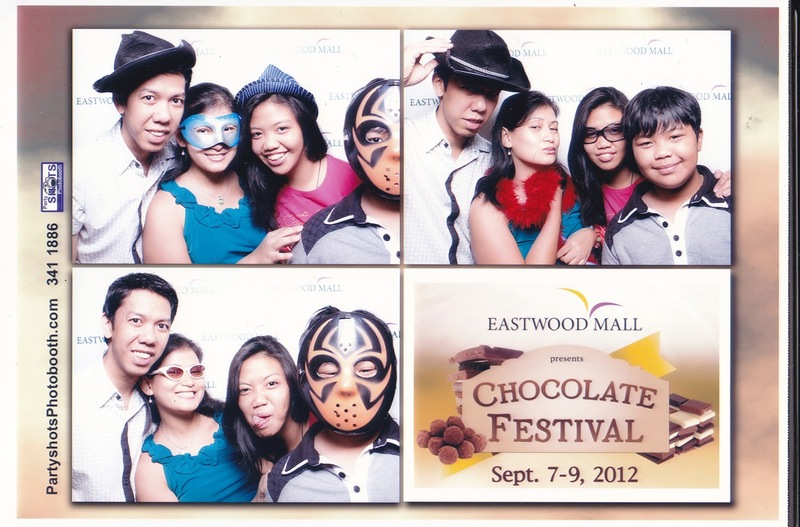 I heard of the Chocolate Festival but I wasn't able to check it out because it was too far from our place. Those are interesting chocolate flavors. The choco sili is quite intriguing.